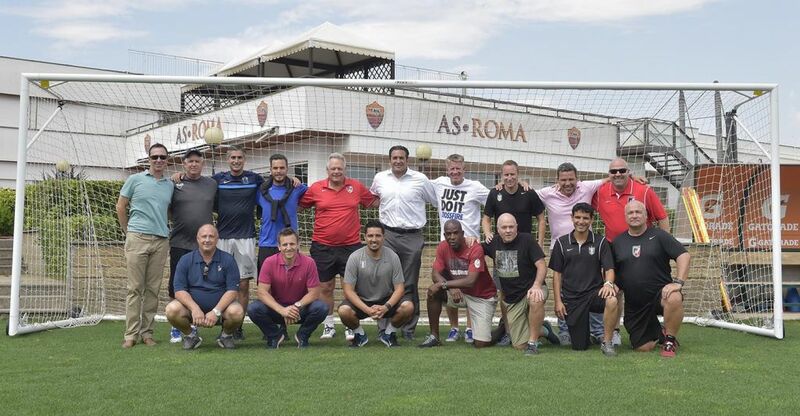 The nine-member US Soccer Development Academy Clubs of the AS Roma / USA Academy* met in Rome, Italy on June 5-7, 2015 at the AS Roma Trigoria Training Facility and the Rome Olympic Training Facility. 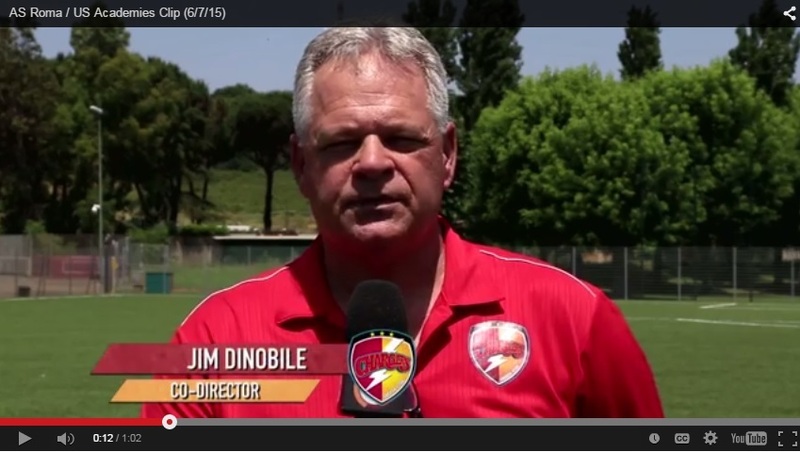 Jim DiNobile, Director of Soccer Operations, was the Chargers SC representative in Rome. AS Roma coordinated and provided each member club representative their air travel and hotel accommodations as well as a terrific cuisine which continues to show their commitment to this partnership with the nine US clubs. This was the follow up meeting to the initial AS Roma / USA Academy meeting in January, 2015 in Miami Beach, FL USA. And the purpose of this meeting was to bring together the group to AS Roma to start to develop and define what the mission of this partnership is and what it can be. CLICK HERE for more AS Roma information. Click on the AS Roma icon below to watch 1:02 minute video on You Tube.